kidslooklikekats: How To Listen To The Beatles. How To Listen To The Beatles. For an extremely innovative, forward-thinking enterprise such as Apple, the release of the back-catalog of a band that, to some extent, invented modern rock music is just a bit of a step backward - and a ridiculous one at that. 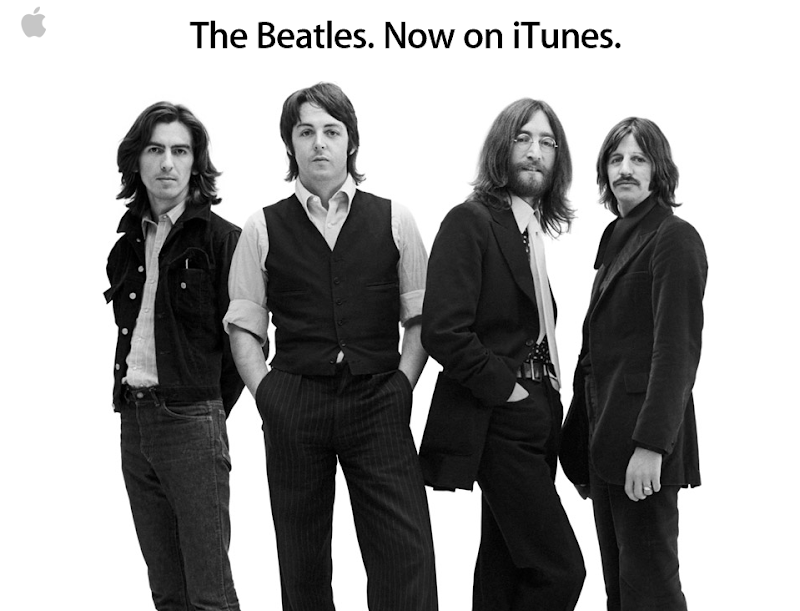 It's also a bit arrogant, as Apple appears to think they've re-invented the band and effectively branded them as Apple products (go to the Apple site and have a look for yourself; see how the visual you are greeted with strikes you). Do yourself and the Beatles a favor: visit your local record reseller and buy a Beatles LP for $10. Not only will you have a timeless piece of memorabilia and a pure representation of the music and the era of its release, but you'll be supporting local business as well. For that, the Beatles would applaud you. Positive Beat Presents: Cains & Abels.